So this accident caused a big queue of traffic in the morning on my way to work. On the way home that same evening, the two unfortunate vehicles that were in the accident were still there. 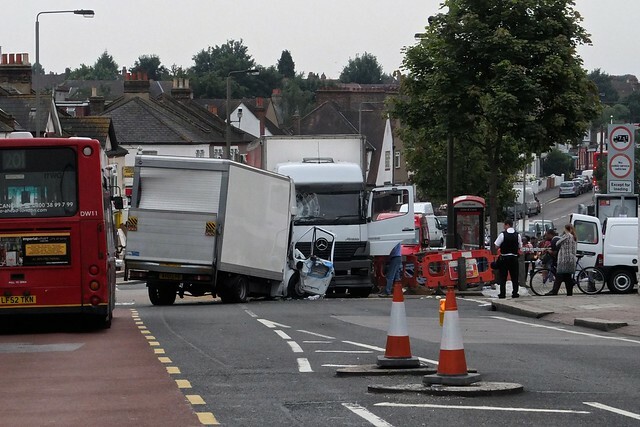 On Friday 27 July, coming home from work, I came across a quite serious accident that closed Mitcham Lane in Streatham, south west London. 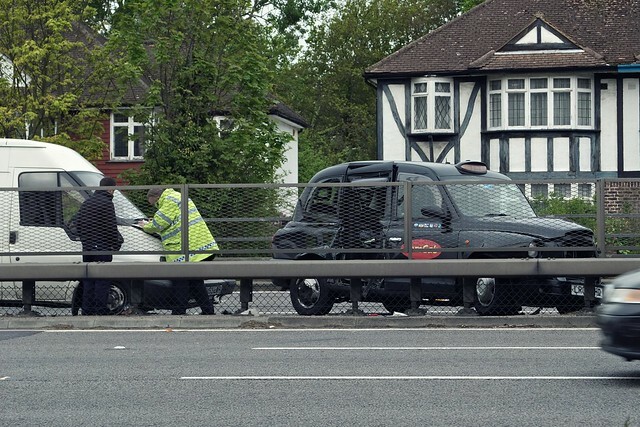 On my way to work this morning I saw this accident involving a London black cab and a Transit van near Coombe Lane on the A3 in Kingston. 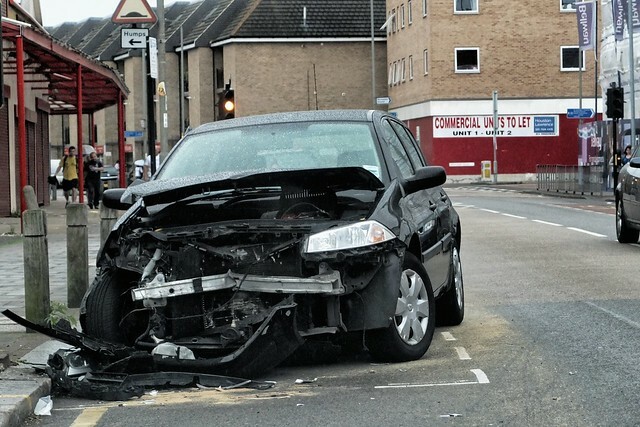 Nobody seemed hurt but the cab was pretty spectacularly totalled. 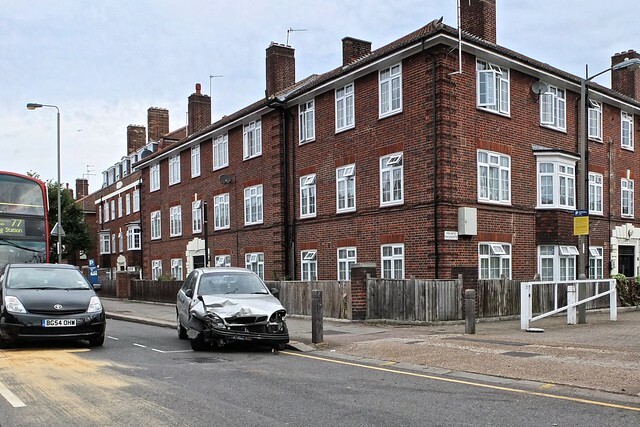 The police had shut two lanes causing a massive tailback on the London-bound carriageway of the A3. So quite early in the day I had my entry for my daily photo journal in the bag.